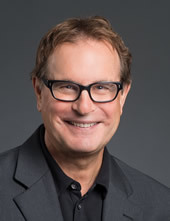 David L. Cooperrider, PhD, is a Distinguished University Professor and holds the Fairmount Santrol – David L. Cooperrider Professorship in Appreciative Inquiry at the Weatherhead School of Management, Case Western Reserve University, where he is the faculty Founder and Director of the Fowler Center for Business as an Agent of World Benefit. David is also the Honorary Chairman of Champlain College’s David L. Cooperrider Center for Appreciative Inquiry at the Robert P. Stiller School of Business. In 2017, David received “The Lifetime Achievement Award”—the highest honor in his field of Organization Development.